What makes the team and customer experience here at Bill Dube Ford so special? It all starts with a commitment to putting your needs at the forefront of each and every phase of the car buying process. In other words, our goal is to help you come to a decision that feels right as you sort through the vast array of exciting new and pre-owned offerings on our lot. It also does not hurt that we go out of our way to offer up the most affordable and fair pricing in Dover and the surrounding regions. We understand and respect that people come from a variety of different backgrounds and budgets, so you can always count on Bill Dube Ford to provide you with an honest, straightforward, and wallet-friendly deal. From this perspective, there is really only one thing left to ask: Are you and your family ready to come see why Bill Dube Ford easily stands above the competition as Dover NH's favorite provider of new and used cars, trucks, and sport utility vehicles (SUVs)? Why should you consider a new Ford vehicle for your next car purchase? How about the fact that driving home in one of these award-winning offerings ensures that you and your family always stay safe and moving forward as you enjoy the finest driving experience in the industry. The F-150 is a truck that is steeped in history; yet it is still willing to break the mold and continue to redefine what it means to stand at the top of its class. Not quite sold on the truth behind this hefty claim? Then take a few minutes to look over the F-150's military-grade aluminum alloy body, enhanced cabin space, and plethora of newly-added safety features and you will soon see why this rugged and durable pickup has maintained its status as the bestselling truck in America for almost four consecutive decades. Who says that driving a full-size sedan has to be "boring" or "mundane?" In fact, when it comes to the Ford Fusion and what it offers to the people of Dover, this misguided notion could not be farther from the truth. To prove this point, and shatter the misconceptions that surround this vehicle class, take a peek at this category leader's optional eco-friendly hybrid powertrain, hands-free calling system, and the bevy of other premium features that make up the groundbreaking Fusion experience. For the drivers out there who need an SUV that is capable of blazing new trails out in the wild (and getting the kids to school on time), then the Ford Escape is right up your alley. Whether you are leaning on this vehicle's blind spot warning system and other powerful safety features or packing up your family in its ample cabin space, you can hit the road with confidence knowing the Escape is an SUV that is ready, willing, and capable of tackling any challenge in its way. As you can see, we are pretty big fans of the latest Ford models to end up on the showroom floor here at Bill Dube Ford. However, you do not just have to take our word for it. As recipients of the highest accolades from both the National Highway Traffic Safety Administration (NHSTA) and the Insurance Institute for Highway Safety (IIHS), it is safe to say the cars, trucks, and SUVs that make up the Ford family of vehicles are clearly a cut above the rest. Three year/36,000 mile bumper to bumper coverage. Five year/60,000 mile powertrain coverage. The message presented by this substantial amount of coverage is fairly straightforward: Ford is an automaker that values your safety and satisfaction to the point that it is willing to go above and beyond what any other manufacturer in the industry has to offer to potential customers. For the shoppers out there who are more interested in finding the right pre-owned vehicle, we want you to know one thing: Bill Dube Ford never skimps on performance or reliability when it comes to used cars, trucks, or SUVs. Going a step farther, we pride ourselves on the fact that none of the competition in and around Dover can hold a candle to the quality offered up by our used inventory. Complimentary roadside assistance 24 hours a day, seven days a week. 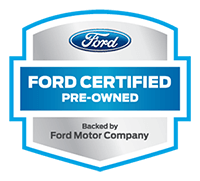 Even if you decide to purchase a vehicle from a manufacturer other than Ford, you can take comfort in the fact that any and all pre-owned offerings listed for sale at Bill Dube Ford undergo a stringent inspection process to ensure your safety and satisfaction. If the vehicle in question does not meet our high standards, then it never makes it way out in front of our valued customers. The process of buying a used car is often synonymous with being obtuse, confusing, and downright frustrating. However, is this really the kind of experience you deserve when shopping around for a great pre-owned vehicle? The team here at Bill Dube Ford thinks we can do better, so please join us as we delve into some simple tips and tricks that can keep you in control and help put the fun back into your search for a quality used car, truck, or SUV. Social Media and Customer Testimonials Are Strong Allies in Your Search – Tired of listening to the constant boasts and over-the-top proclamations from dealerships on TV and radio spots? Then make it a point to instead connect with your peers on social media and via customer testimonials. Doing so guarantees that you receive a legitimate and unbiased look at the true customer experience found at the dealership in question. Questions and Queries Should Always Take Precedent – Speaking of the customer experience, it is important to understand that you always deserve to have your questions, comments, and concerns addressed in a fair and open manner. Should you find yourself in a situation where these queries are being sidestepped or outright ignored, then it is time to bring your business to a dealership like Bill Dube Ford that embraces and encourages inquisitive customers. Do a Little Research Before Your Visit – While we would love for you to spend hours with our team of automotive professionals browsing through our ample selection of pre-owned vehicles, we understand that there simply are not enough hours in the day to do this and handle all of your other ongoing responsibilities. With this in mind, we suggest doing a little research on our website beforehand and coming up with a list of vehicles that interest you as a way to expedite the process and keep you on schedule for the rest of your busy day. A Trustworthy Dealer Goes a Long Way – As unfortunate as it may be to admit, underhanded sales practices and outright fraudulent promotions can rear their ugly heads within the used automotive industry from time to time. Fortunately, by driving past the competition and stopping in at Bill Dube Ford, you can shop with confidence knowing that our team of trusted professionals always place an emphasis on transparency and honesty when it comes to serving the needs of our customers. Having a Talk About Your Finances Is Well Worth the Work – Sitting down and hammering out the details of your financial situation is far from what most people would consider fun. Even though there is plenty of truth found within this statement, getting this conversation out of the way is a potent tactic that can help you sort out a hefty amount of details that could otherwise derail your pre-owned purchase experience. Leave No Stone Unturned When It Comes to Payment Options – Finally, it is important to understand that considering each and every possible payment option is a sometimes exhausting but necessary piece of the puzzle. Failing to embrace this reality is an easy way to gloss over a more beneficial or efficient repayment plan that better suits your specific needs and priorities. Now that you are an expert on the process of sorting through the marketplace and working toward a smart pre-owned purchase, the team here at Bill Dube Ford really only has one question left to ask: Are you ready to put this knowledge to good use and find the perfect used car, truck, or SUV for you and your family? Back in 1908, the idea of "putting the world on wheels" seemed like nothing more than wishful thinking to everyone but Henry Ford. 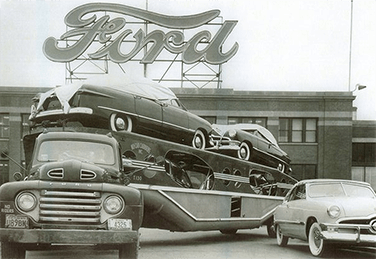 However, after founding the Ford Motor Company in Dearborn, Michigan, that year, it would not be long before the detractors were silenced and Mr. Ford's vision came to life via the famous Model T (which sold over 15 million units during its time on the market) in dramatic and world-changing fashion. Today, Ford continues to stand as an industry leader thanks to its commitment to innovation and automotive excellence. The best part? This cutting-edge approach has not come at the expense of serving as the world's largest family-controlled organization. Once you put all of this together, one thing becomes abundantly clear in a hurry: The Ford Motor Company and its 117-year commitment to affordability and quality shows no signs of slowing down anytime soon.